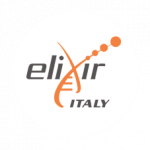 As member of the Galaxy Training Network and of the ELIXIR-IIB Training Platform, we routinely organize training initiatives on NGS data analysis with the Galaxy platform. More than 300 researchers from 40+ institutions attended our training events. Galaxy is an open source, web-based platform for data intensive biomedical analysis. It is used in a broad range of biomedical research domains to make accessible bioinformatics applications to users lacking programming skills, and enabling them to easily build analysis workflows for NGS data. These courses are aimed at PhD student, biologists, clinicians and researchers who are analysing, or need to analyse in the near future, high throughput sequencing data. The courses are highly interactive to permit the participants to familiarise with the Galaxy platform and prepare them to work independently, using state-of-the art tools for the analysis of NGS data. The aim of this course is to make participants familiarize with the Galaxy platform and prepare them to work independently, using best practices guidelines for building, maintaining and installing Galaxy tools. The course will be delivered using a mixture of lectures and computer based hands-on practical sessions. Lectures will provide an up-to-date overview of the practices for the most successful Galaxy tool development. During this 2 days course participants will learn a modern approach to create, configure and install their own tools into a Galaxy server. This theoretical and practical course is addressed primarily at biologists / biotechnologists, with the aim of providing detailed hands-on instruction to generate high-quality sequencing results, from DNA/RNA to sequencing data. The course will focus on the following topics: overview of NGS Illumina technology; library prep protocols for DNA, RNA, smallRNA analysis; qualitative and quantitative evaluation of libraries; main bioinformatic pipelines; use of the Galaxy analysis platform for evaluation and interpretation of data. Theoretical-practical course. Each lesson will be divided into an initial exposure to the topic, followed by a practical exercise. The course is aimed primarily at biologists / medical geneticists, with the aim of providing tools to better use and interpret the information contained in the Next Generation Sequencing data even without in-depth previous bioinformatic knowledge. Practical course dedicated to the Python programming for Bioinformatics.